No money to find out why. I looked up some statistics and found out that between 3 and 5 million people have Fibromyalgia and over one million people have chronic fatigue in the United States. You would think with those kind of numbers there would be adequate funding for research. We are talking numbers in the MILLIONS here and there's very little money to find out why or what causes these illnesses. To put it in perspective, and not to diminish the severity of the illness, MS afflicts somewhere between 350 to 500,000 people in the U.S. and there is funding galore. We have numbers in the MILLIONS and no one knows why or cares why we are afflicted. The research that is being done is filled with controversy. Once there was testing done with the XMRV retrovirus and it's correlation to Chronic Fatigue all hell broke loose. One group tries to disparage studies being done and forums are filled with vile comments. Now groups are being put together with doctors who don't believe in the XMRV retrovirus and, get this, dentists. What the hell are dentists doing on the team? These illnesses are debilitating. Something, whether it be an assault on the immune systems or caused by physical trauma, is flipping the pain switch to the on position. Once in the on position it isn't being turned off. We are called lazy, neurotic, malingerers and depressed. We are not believed. We live in a state of crisis management. So how do we get funding, or more precisely, adequate funding? I guess until Fibromyalgia and Chronic Fatigue reaches up and bites someone important in the old proverbial fanny, no one is going to care. The problem is we look normal. We can smile and laugh but it's through the veil of pain. No one cares unless it's visible. To be sick we have to look sick and we don't look sick. Symptoms can change from day to day and sometimes from minute to minute. Doctors either don't believe us or they don't want to deal with us because there is no cure. How loud do we have to yell to get something done? 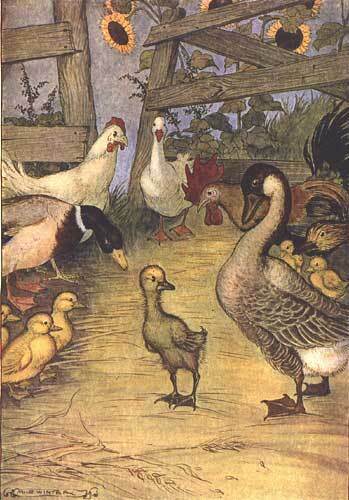 We are the ugly duckling in the world of research. We want, for once, to be the swan. I think we are at a turning point as far as raising our voices. I think for years, because we are so sick, we have been silent thus invisible. But I think too many of us have waited too long for help and are now trying to do whatever we can, where ever we can to become visible. Laurel did a post today in honor of Invisible Awareness and she highlighted several great projects that have been launched by ME/CFS patients in order to bring visibility and to raise money. I have read that one theory on why no one wants to fund this is because the branch of medicine that is psychology is not making money. People are no logner going like they used to. So if you categorize this as a mental disorder you just gathered 17 million new patients world wide! What can I say? I have never understood how people suffering with a disease/condition/malady could have the strength to rally for it and raise money and hold marathons and on and on. HOW do they do it? I am so overwhelmed with my life I can hardly function. I can hardly do the day to day things one must do. And, many,many days I don't! I do not feel I can complain if I am not doing anything myself. But, you Rose, YOU are providing a great service toward the education of MANY. And, educating people is the first step toward helping them understand. You research and you share your research and you share your experiences so that others may learn. You keep us all updated on what IS new in the research world, even if sometimes its bleak news. You keep doing what you are doing, Rose, and eventually the earth will move, even if just a little. Ya gotta believe or....what's gonna happen to all of us?